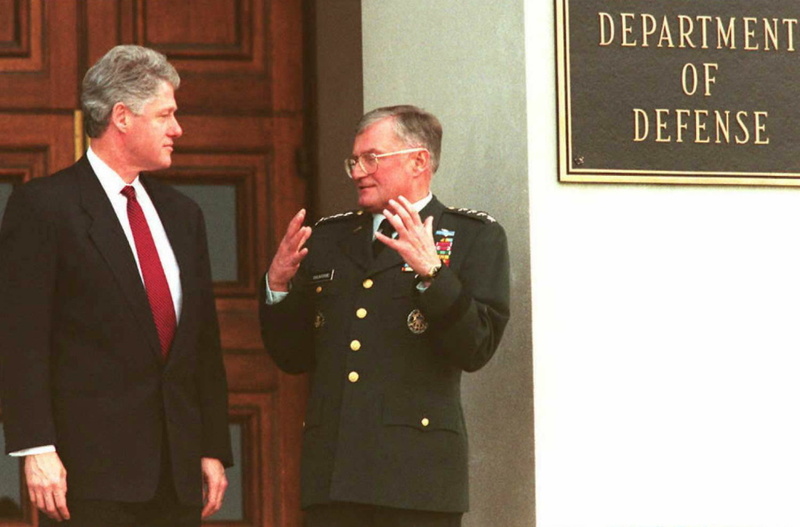 US President Bill Clinton (L) speaks with Gen. John Shalikashvili (R), chairman of the Joint Chiefs of Staff, upon his arrival at the Pentagon for meetings 01 February 1995. That’s the tension illustrated by Mark Perry’s “The Pentagon's Wars: The Military's Undeclared War Against America's Presidents,” which explores how the internal conflict between various presidential administrations and military heads shaped U.S. foreign policy decisions. 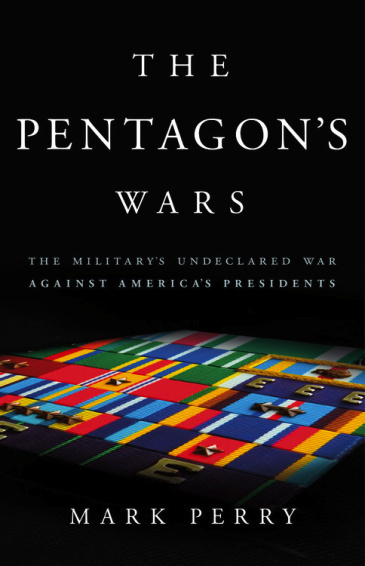 Using nearly thirty years of interviews, Perry explores how the military led to Obama’s retreat from the “red line” in Syria, the history of Clinton’s “don’t ask, don’t tell” rule and why there’s so much support of Trump within the military now. We speak with Perry about the inner machinery of the Pentagon- U.S. government relationship, both in past years and today.